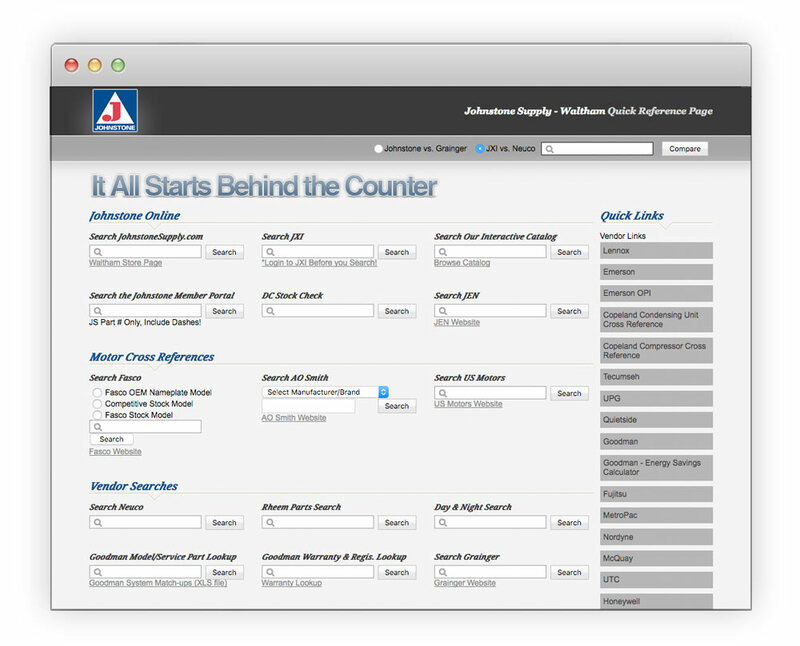 I was contracted by Johnstone Supply to create a webpage that they could roll out to their stores as a dedicated homepage for their counter computers. The page was comprised of useful links, as well as forms that pointed to their various tools and part searches. It provided a one-stop shop for all of the web resources needed to support their customers.